Watch_Dogs, a brand new property from Ubisoft, has been one of the most hotly anticipated new games of 2014. Set in Chicago, the game would deal extensively with hacking and information privacy, sizable issues for modern day gamers and not the typical fare. And developers Ubisoft Montreal had two massively well-received franchises already under their belts to get fans excited: Assassin's Creed and Far Cry. Watch_Dogs had an immense amount of pre-release buzz, but, in execution, it's a prime example of why pre-ordering games based on buzz is a bad idea. Have you played a modern Grand Theft Auto game? If so, you've pretty much played Watch_Dogs. The game, set in a sprawling, loosely-adapted version of Chicago, follows blotch of pixels Aiden Pearce on his quest to get revenge on a shadowy master-hacker organization that paid some local thugs to kill his family for reasons. His quest will take him all over the... uh, city, where he will be forced to do whatever he wants for days and days as he becomes rich, kills whoever he wants, and mostly just relaxes. Like GTA, if you rampantly murder enough people, the police will get mildly testy, sending patrol cars and helicopters to chase you through the city until you're dead or they get bored looking for you; unlike GTA, you basically have superpowers, which removes even the barest little hint of challenge or limitation on what you can do. 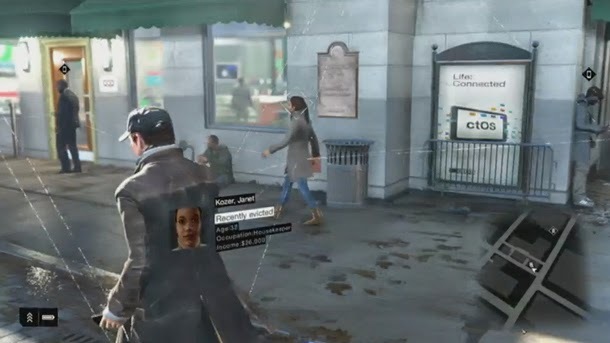 The missions, which range from "Tail this person," to, "Chase this car," on through "Take out this person," are all also pretty direct transplants from every modern open world game, and Watch_Dogs does precious little to build on them in an interesting way. That said, there are some definite innovations in the game, and they're easily the best part. The hacking is quick and enjoyable, allowing you to use the 'smart city' in interesting ways - at first, you can only manipulate traffic lights, but as you play you'll gain the ability to bend everything from bridges to the entire power grid to your will, and the first time you escape pursuit by leading the cops through a maze of hacker traps is thoroughly enjoyable (the 30th time? Your mileage may vary). At least at first, there's an incredible sense of power to what you can do, and while the game's lack of pacing ends up killing much of the novelty, for awhile, it's a blast. My single favorite hacking feature, however, is his ability to 'jump' cameras. You can hack any camera you see, and that includes cameras seen through other cameras. That lets clever players jump through entire buildings, scouting ahead for unforeseen traps, distracting guards two floors up to clear off the floor you're on, and other tactics that let you turn insurmountable odds into a tense, funny show-down. You can go in guns blazing, of course, but doing so would be missing the game's single best feature. Combining the extensive information gleaned in the hacking bits with a GTA-style open world, however, and you get information overload. Every person on the street is given (randomly, which leads to some hilarious moments, like finding a $700,000 / year banking executive... slumming it in a street gang) a job, a net salary, a defining character trait, and what kind of information you glean from hacking them. But it flashes by so quickly, you can't typically process it in a meaningful way. Will you steal from the custodian making 19,000$? Realistically, yeah, probably, because I doubt I'll notice until after the fact. What's more, most of these people have no personality or internal lives, and your character is portrayed as kind of a monster, so why not? Robbing someone, killing someone, blowing up a small city block - none of these actions have consequences, so why should you care? And then there's the writing. Much has been made of the truly, often-hilariously atrocious dialogue in Watch_Dogs, and with good reason: It often feels like a throwback to the bizarre mistranslations that gave use things like "All your base is belong to us." This, for example, is an actual line of dialogue in Watch_Dogs: "I think I'll pay this guy a visit. I don't think he'll like my visit, but it'll give him something to think about on the way to the hospital." At no point in history has someone grimly promised to pay someone else 'a little visit' and shown up with chocolates and roses, and yet Watch_Dogs is so convinced that you may not have picked up on its subtleties that it often just keeps going. It is not content to wallow in cliche when it could move in with it, propose to it, get married, and have ugly children with it. Worse, somehow, than the dialogue, which sometimes at least achieves a sort of bizarro-world comic genius, is the way the game interacts with its basic premise. With all the technological power of a Star Trek-era NSA (your phone can literally hack anything on the run with a single button press), the plot nevertheless revolves around a gruff, stoic white parkour-loving assassin-hacker on a quest for revenge after the death of his niece at the hands of the thriftiest even organization in video game history. There's a lot of disgust at the idea that a government organization has all this information on us, but you don't really balk much at the thought of, say, you having access to all this information. The bad guys are bad because they aren't you. That's the extent of what passes for character in the often-snickeringly juvenile Watch_Dogs. It's all too easy to imagine a game that focused more on the tech-side of the plot and less on the GTA side. A game focused on hacking, on world-building, on politics; a game that actually penalized you for rampant chaos and violence and that had something interesting to say about the way we interact with technology and society; a game that had characters. And it's hard not to criticize it for failing to be that game, particularly given the praise it has received for its cursory nods in that direction. And while the design for lead character Aiden is unforgivably bland, the game actually has a reasonably solid near-future aesthetic that works and works well. It, like the game itself, is well-executed but unimaginative. Where Wolfenstein: The New Order took a mundane premise and turned it into an excellent game, Watch_Dogs took a truly excellent premise and turned it into a too-mundane game. Laughable writing mixes with bog-standard execution to dull whatever wit the game's premise might allow. It's not a bad video game, not really, just a perfectly average one with a hook that, frankly, deserved better. There's fun to be had, but Watch_Dogs makes you dig for it. 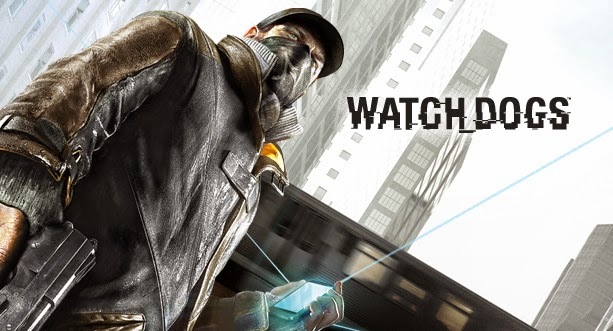 For the purposes of this review, Watch_Dogs was played on the PlayStation 3, though it is also available for the PlayStation 4, PC, and the X-Box One. It was released on May 27th, 2014.